A very RARE offering in Bedford Landing! Take advantage of this opportunity to LIVE the FORT LANGLEY lifestyle. 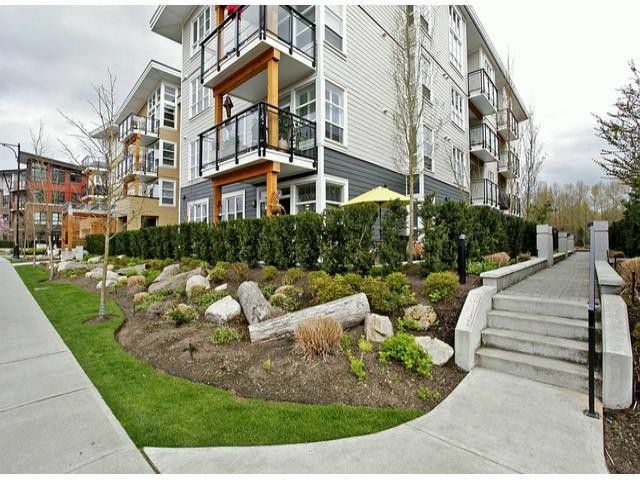 Beautifully appointed, in like NEW condition, 2 BDRM 2 BATH ground level, bright corner unit! C plan 1051 square feet of livingspace. Generous wrap around garden patio perfect for entertaining in the brilliant south facing sunlight. Developer upgraded engineered hardwood flooring. S/S appliance package incl gas stove. Granite counters and white cabinetry. Heated ensuite floor. Convenient storage room, computer niche and 2 underground parking spots. Secure bike storage, fitness room and clubhouse included! Revel in all that Fort Langley offers, just steps from coffee shops, restaurants, shops, pubs and groceries.